In this game a vertex of the triangle is selected randomly. It is connected with an initial random point in the interior of the triangle. We trace the midpoint of this segment. 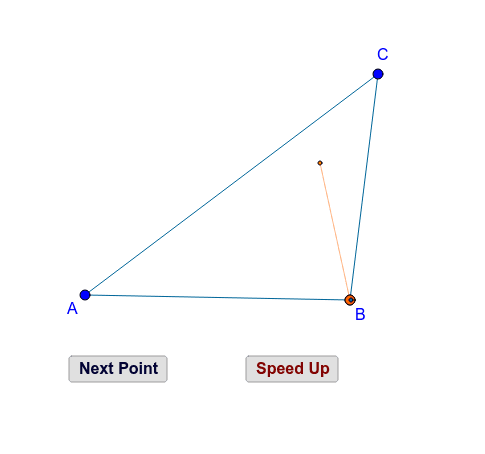 In the next step the randomly selected vertex is connected to this midpoint and the midpoint of the new segment is traced. Click the “Next Point” button several times to understand the process. Click the “Speed Up” button and wait a minute to see the result.